Listed here is the standard silverÂ plated 8335 with yellow brass bell. Interestingly all the options have a gold brass leadpipe, tuning slide crook and connection tube. Yamaha say the addition of gold brass to these parts of the cornet give a versatile and flexible sound, especially in the higher register. 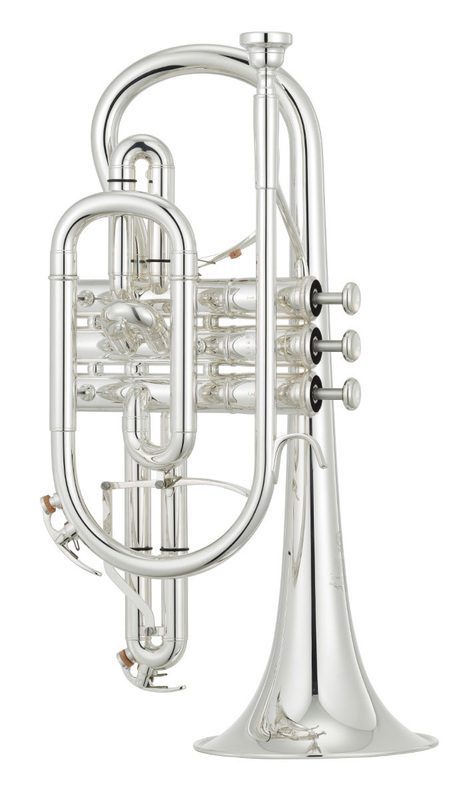 A great deal of testing has gone on in Europe using different brass materials on certain parts of the cornet to try and achieve the authentic brass band feel but with a modern edge to reflect the demands of todays most prominent players.